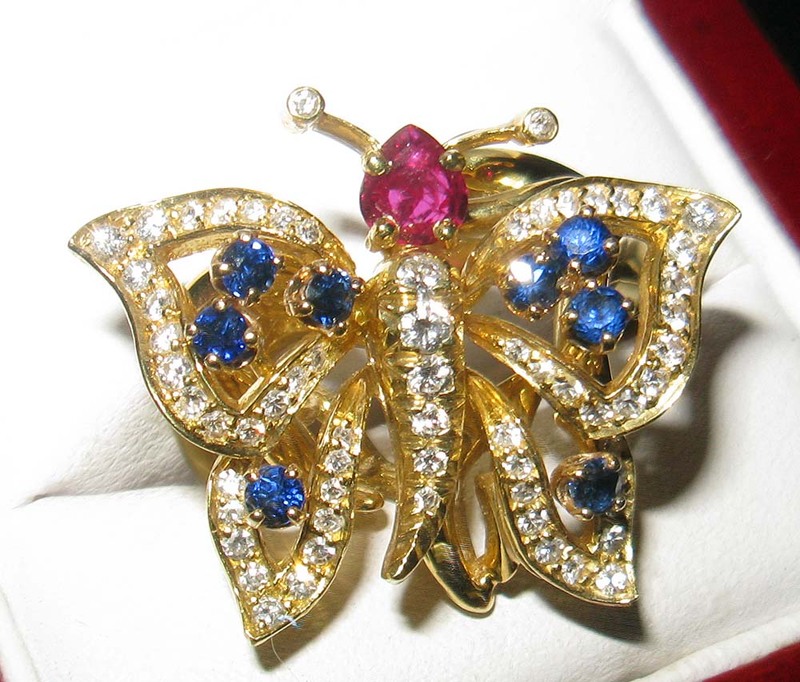 This Highly Desired Butterfly Ring is made of 18kt yellow gold and is set with 64 Diamonds of varied sizes (approx. 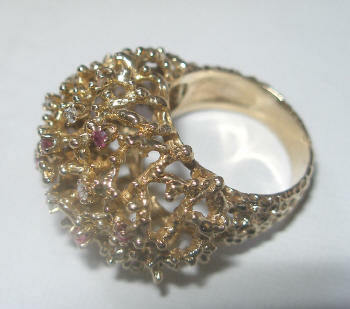 1.40 ct total weight) , 1 Beautiful Ruby (approx. .25ct), and 8 Blue Sapphires (Approx. .40ct total wt.) in a Nice setting. 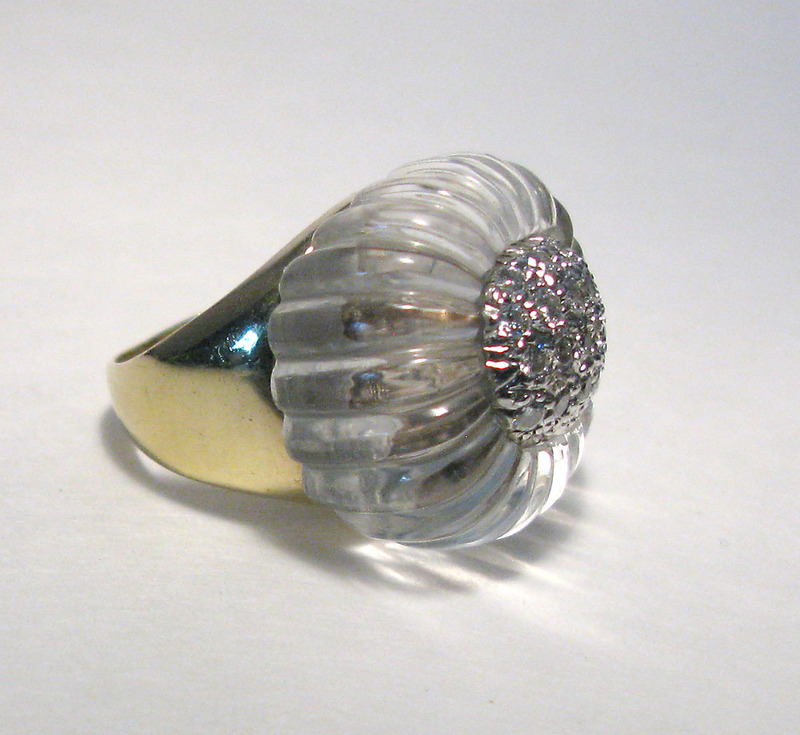 The ring was just inspected, cleaned and polished by my Jeweler. 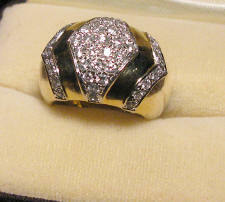 The ring has an original suggested retail $9,000 and a fair 'Pre-Owned' evaluation, of $ $6,645. The ring does have the numbers 5178 stamped inside the shank. There is a custom installed ring guard inside to compensate for changes in the wearers fingers so the ring will fit correctly consistently. The Ring Guard allows the ring to fit sizes from 6 to 7 1/2. 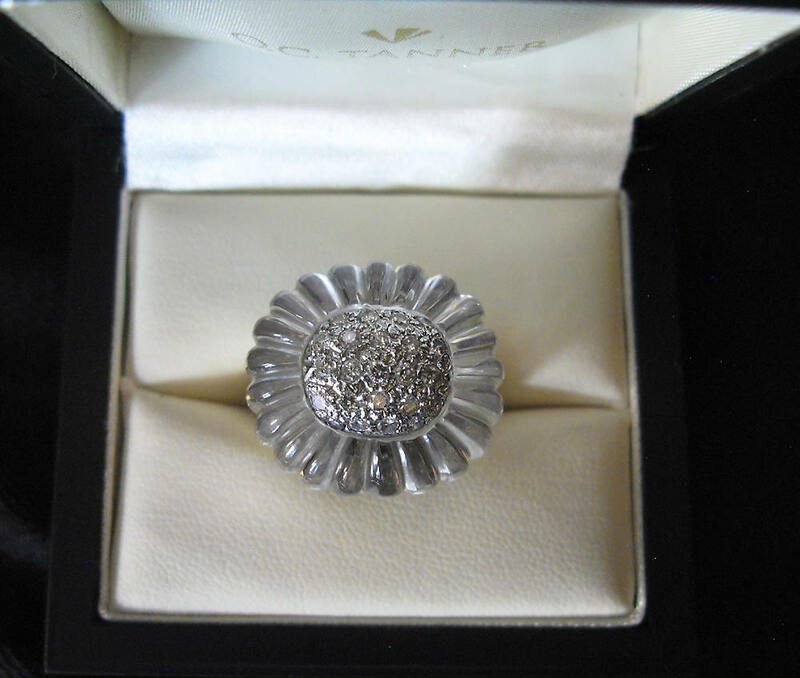 This absolutely beautiful 'Ribbon' style ladies ring is the perfect Truly Elegant 'Eye Catcher' for any occasion. (99 total) for an overall weight of approx 2.97ct. 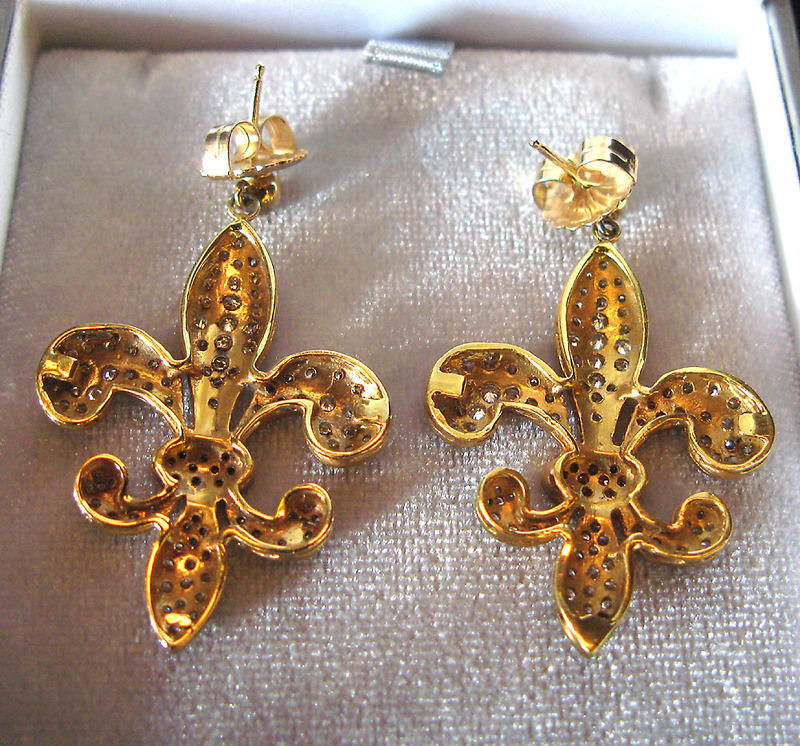 be re-sized by a good Jeweler if needed. 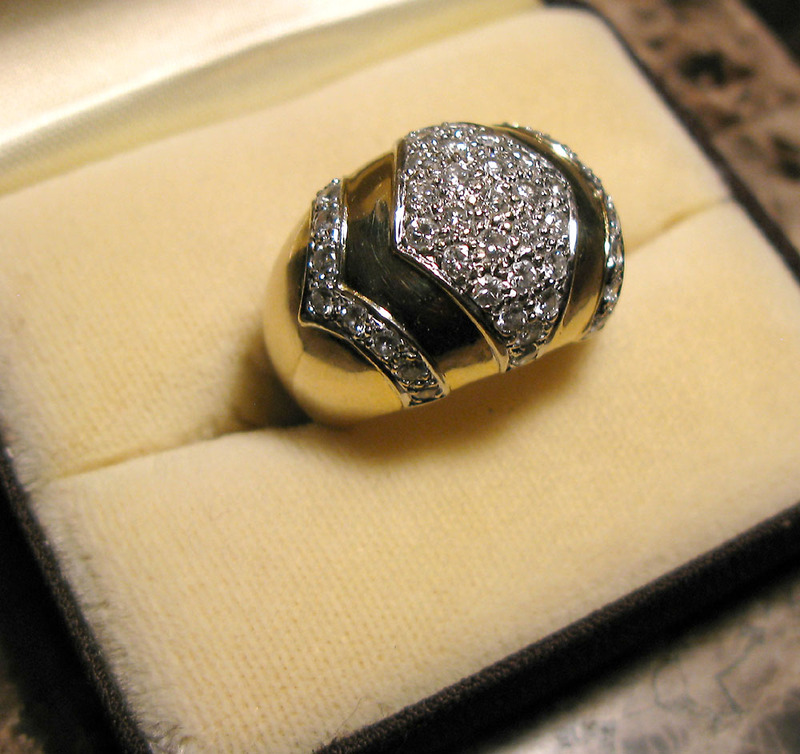 The ring was just inspected, cleaned and polished by my Jeweler. The ring has an original suggested retail $11,000. 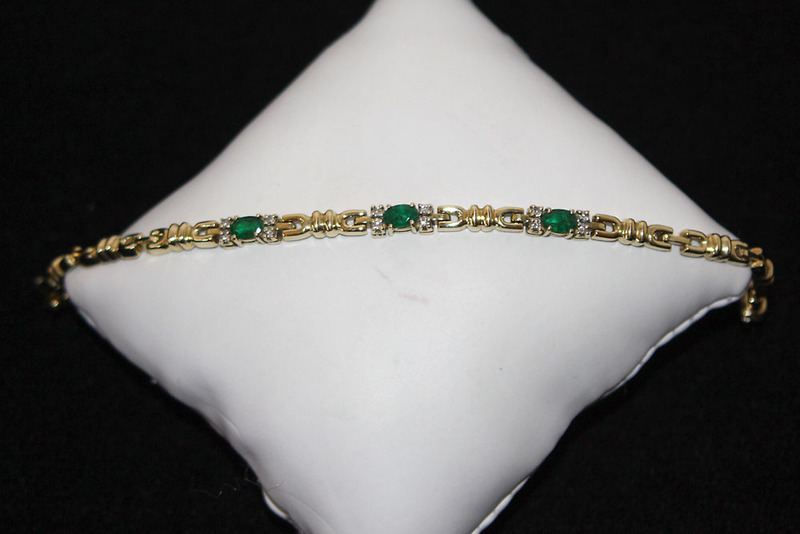 This Beautiful Gold, Emerald, and Diamond Ladies Bracelet is a Great Mother’s Day Gift or just wonderful for any time! The Bracelet is made of 18Kt Gold link sections with 3 Emeralds( 0.30 ct. each) for a total Emerald weight of 0.90ct. and 12 diamonds (0.02ct. 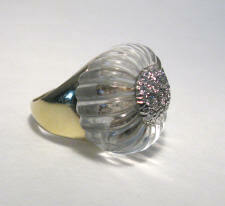 each) for a total diamond weight of 0.24ct. The bracelet measures 4.76 mm wide, 3.33 mm thick, and 5 3/4" long and comes with 2 additional 1” link sections to lengthen the bracelet. center white gold heart and diamonds. 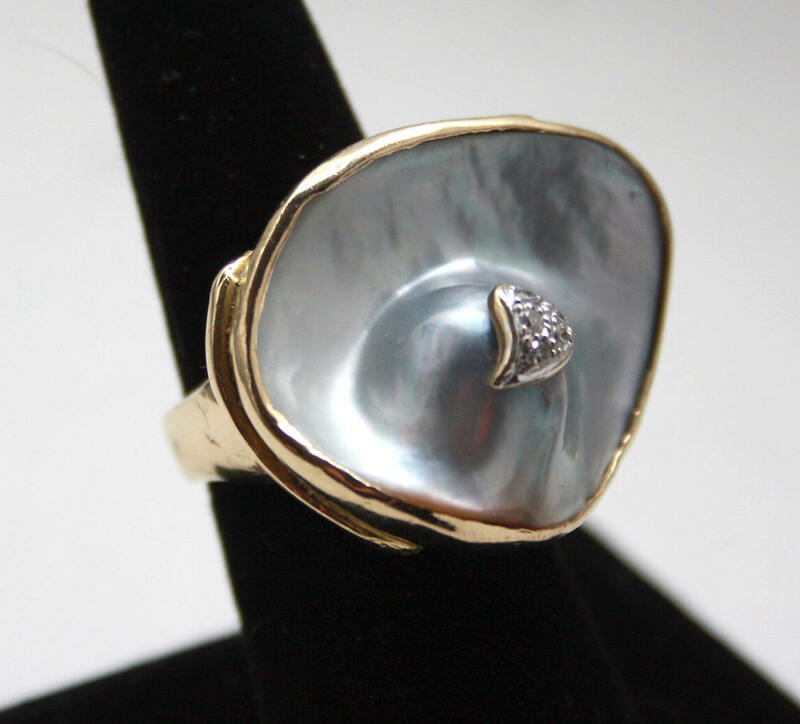 This wonderful creation is of high quality craftsmanship and is not only a Beautiful piece of Jewelry, but truly an Artistic creation. This Beautiful Ladies Ring is a true Estate Treasure. 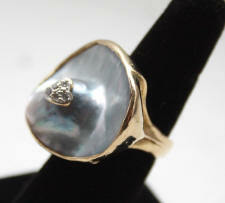 Made of 18KT Yellow Gold, the ring has a 21.52mm x 23.5mm scalloped cushion shaped carved Rock crystal Quartz main stone. 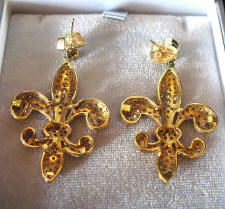 There are also 23) - 0.03ct est. weight Round Brilliant cut diamonds all set beautifully in a Stunning design. 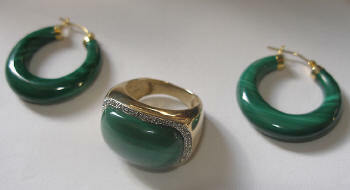 This is one of the collection of jewelry we are selling and they are all High quality design and craftsmanship. Specifics: 18KT Yellow Gold high polish finish ring marked 18K MAZ - Ring Weight 13.1dwt. 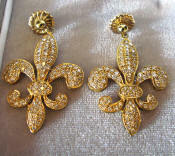 These Stunning Earrings are in a Fleur de Lis design with Pave set Round Brilliant cut Diamonds. 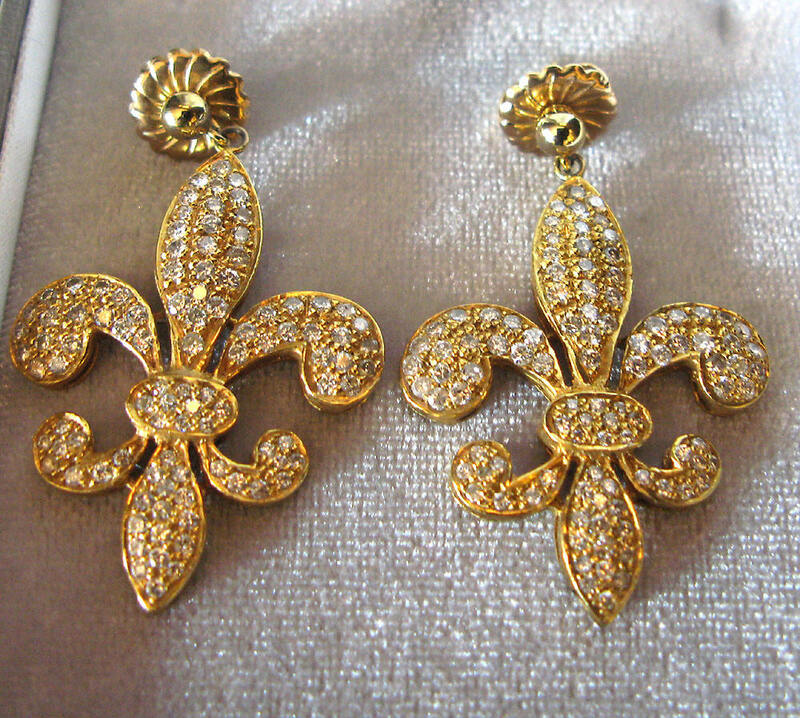 The earrings are made of 18kt yellow gold and have 198 (0.01ct - 0.02ct est wt each modern Roud Brilliant cut diamonds0 the Diamonds are Vs to SII clarity and G-h color and they exhibit good cuts. The back nuts are 14ct gold. The Malachite stone measures 20.5mm x 12.5 mm and the diamonds are 0.005 ct est wt for a total diamond wt of 0.08ct. 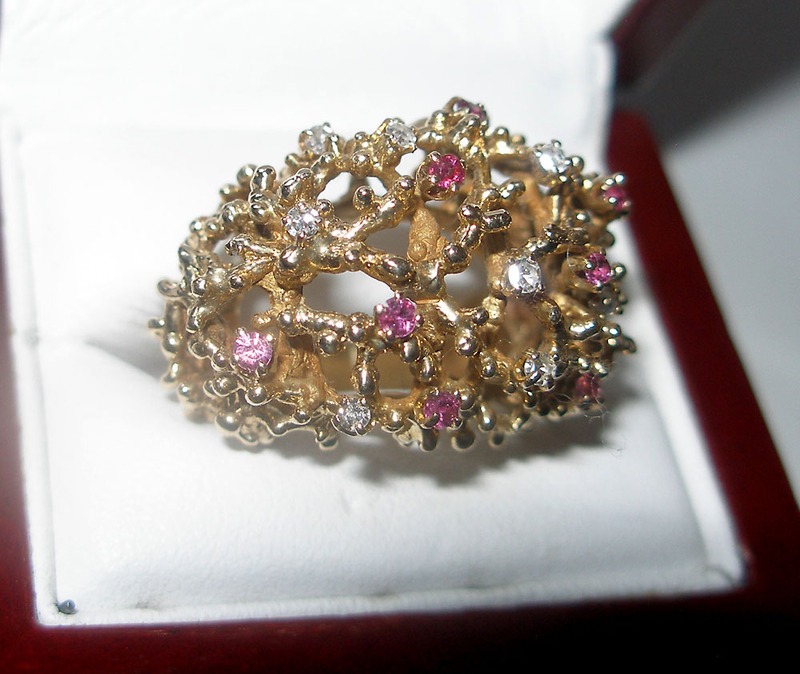 A Beautiful Matching Ring and Earring set. 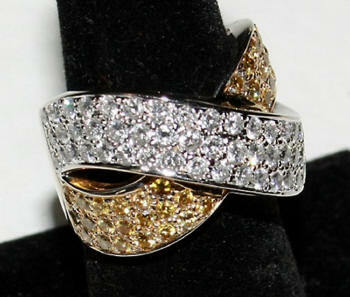 Made of 18KT Yellow Gold, the ring 45 Round Brilliant cut diamonds all set beautifully in a Stunning design. 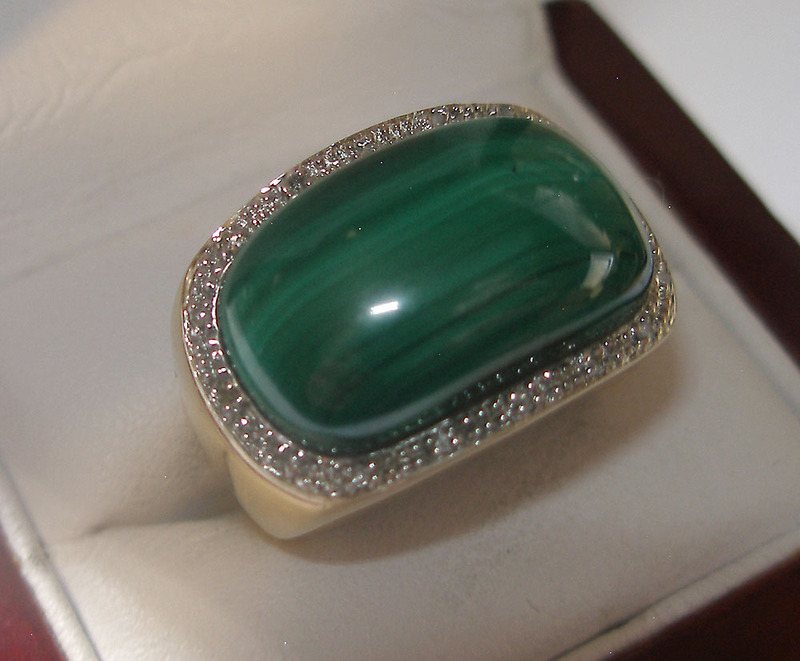 This is one of the collection of jewelry we are selling and they are all High quality design and craftsmanship. There are 45) - 0.03ct est. weight round brilliant cut diamonds (VS2 - SII clarity and G- H color - exhibit good cuts) total est.